Set in mythical Belle Coeur County in a time not too far from our own, Rose & Poe gloriously re-imagines Shakespeare's The Tempest from the point of view of Caliban and his mother. Rose and her giant, simple son, Poe, live quietly on the fringes of their town-tending their goats and working at odd jobs. Prosper Thorne, banished from his big-city law practice and worrying about his fading memory, obsessively watches over his beloved daughter Miranda. When Poe erupts from the forest one day carrying Miranda's bruised and bloody body, he is arrested, despite his protestations of get help-get help-get help. Overnight, Rose and Poe find themselves pariahs in the county where they have lived all their lives. In the face of bitter hatred and threats from her neighbors, the implacable Rose devotes all her strength to proving Poe's innocence and saving him from prison or worse. 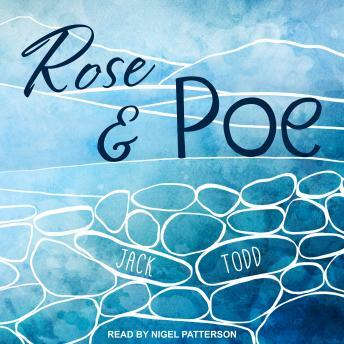 Rose & Poe is a tale of a mother's boundless love for an apparently unlovable child, and a stunning fable for our own troubled times. It will stick in your memory like sweet wild honey.